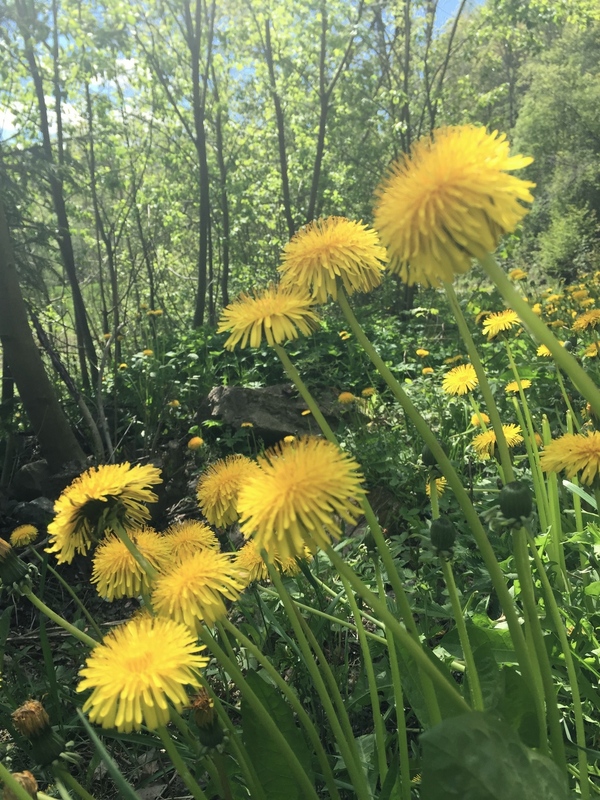 Oh I love dandelion lemonade! And now is the perfect time to make it. 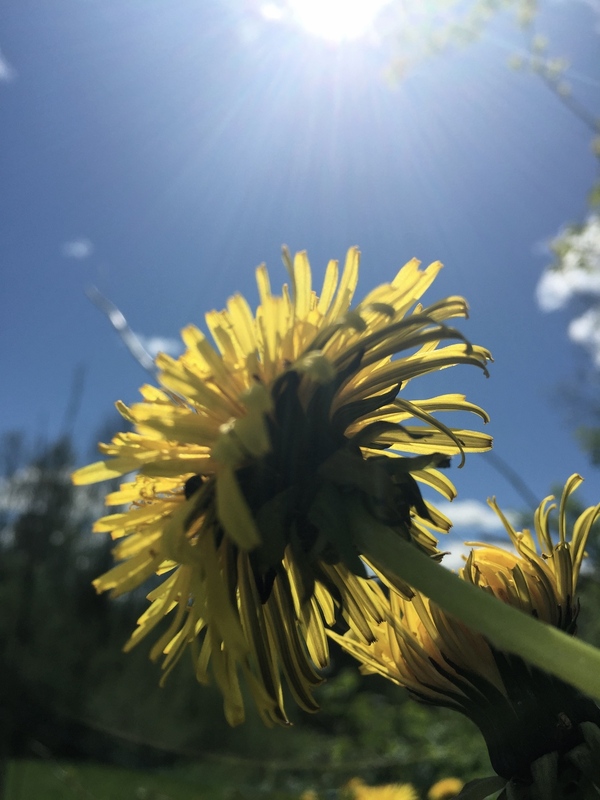 The dandelion flower is still flowering,and it is a good way to prevent the spreading of the dandelion even more,by picking the little sun soaked flowers in the garden,as they appear. But as important, this taste really good on a hot summer day. 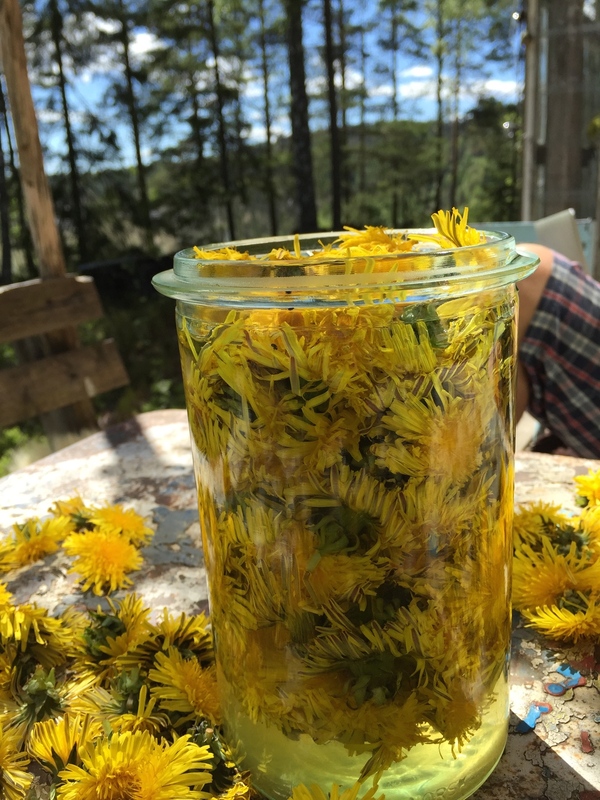 Dandelions flowers will ease your stressed liver and solar plexus,and make you frown less(you know those wrinkles between the eye brows..from too much concentrating and frustration!) Yes ,most likely it will even put a smile on your face as you look,drink,eat this little treasure.Cramps of all sorts,stomach ache ,back pain and headaches is often an indication of a stressed liver. Go out an pick as many as you have of these little suns...the flowers without the stalks. You can keep the green little sepals on. Have them all in to a crook of glass ,pour over a little raw sugar(how much depends on how sweet you like it) and cut a ecological lemon into slices and then pour in cold water to cover. Put a lid on and leave in the fridge for about four hours or over night. It gets better the longer it sits to soak up all the goodness of the dandelion.